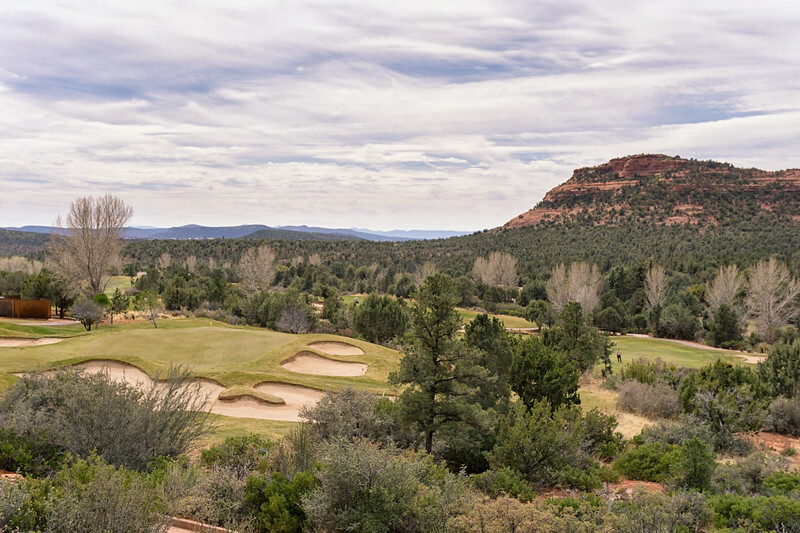 Seven Canyons is an 18 hole golf and country club located in Sedona, Arizona. 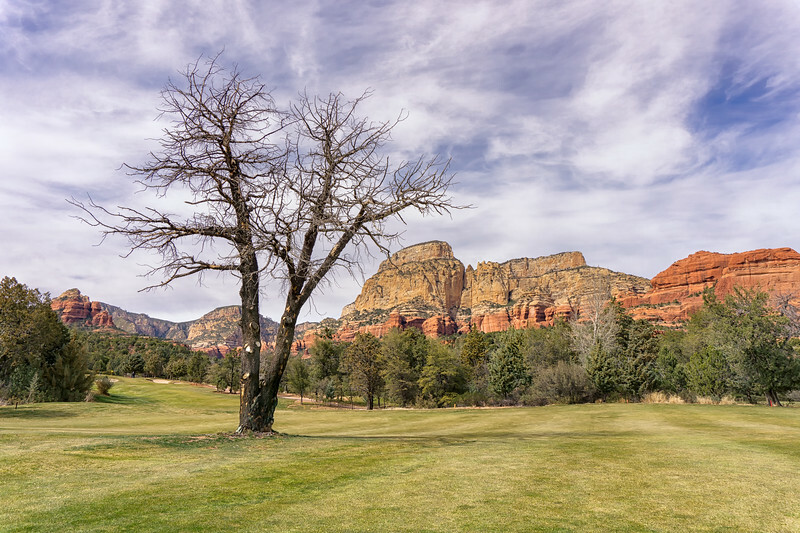 While most come to Sedona for the hiking and to have their aura photographed, there are a handful of golf courses to check out. Is Seven Canyons worth the trip? Read on to find out! Yes Allen, we are talking about practice. And it’s spectacular. Me personally, I am always up to spend time on the range. Whether it’s working on my swing, chipping around the short game area, or just killing time, I just love practicing my game. I don’t care where the range is. For those who don’t actually enjoy practice however, the range at Seven Canyons might just change your mind. 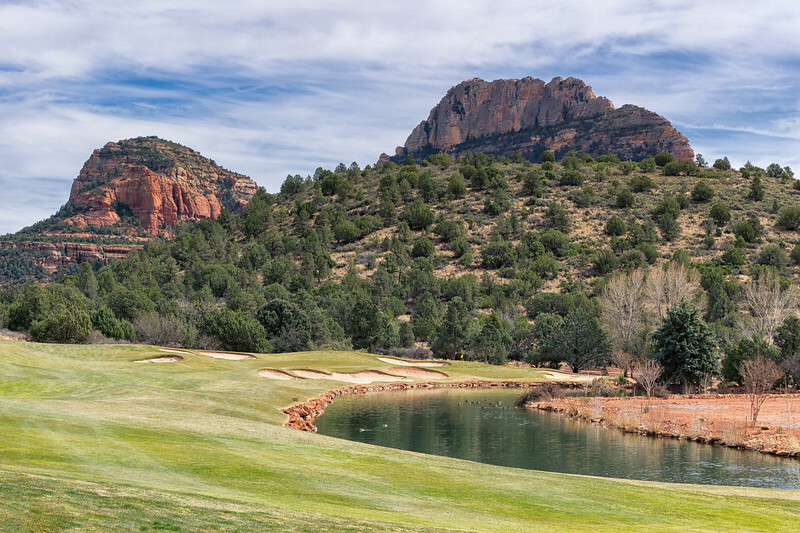 Flanked on all sides by the red rocks, you’ll probably want to gaze around rather than swinging the golf club. I can’t imagine this being my home club and spending every day here. My biggest fear coming into the day was that I’d find Seven Canyons to be overwatered and soft in an attempt to make everything as green as possible. Thankfully this fear was unfounded when one of the first comments made in our group was how fast the course played. In addition to the dry air and 4,400 foot elevation, the course plays firm and fast, just as I had hoped. Looking at photos of the course prior to my visit, I knew that there would be no shortage of eye candy at Seven Canyons. In fact, I really didn’t have have much in the way of expectations as far as the architecture went. I’m happy to report that not only was the layout exceptional, it was one of the most fun rounds of golf I’ve played quite a while. What makes a golf course fun to play? My quick litmus test is how quickly I want to go play the course again. What made Seven Canyons so much fun is its playability and how many times it forced me to think, rather than just rip driver down the middle. Perhaps my favorite example of this is the par 4 13th hole which plays a stout 462 yards from the men’s tees. Standing on the tee you’ll see a large tree in the left side of the fairway, just before the hole doglegs left. From this perspective, aiming left of the tree seems like a sucker’s bet; the slightest pull will likely mean a lost ball. Going the conservative route I played a perfect fade into the middle of the fairway, to the right of the aforementioned tree. When I got to my ball I was greeted with a 190 yard uphill approach to the green. Had I played out to the left or drawn my tee shot I’d have been left with at least a 30 yard shorter approach. While I’m not sure how I’d play the hole next time, it will definitely cause me to stop and think. 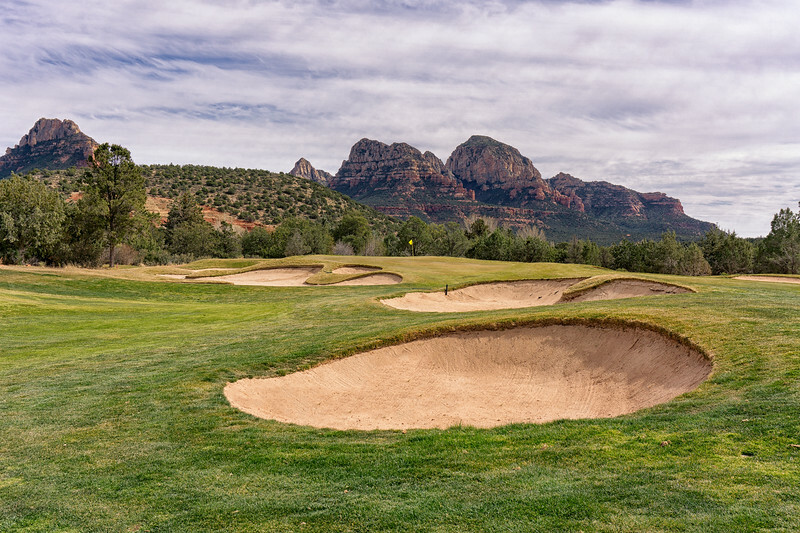 When I was making my itinerary for Sedona, I hesitated a bit on whether or not to play Seven Canyons. The cost was quite a bit more than the other courses in town. Looking back, would I spend the $$$ again? I would without a doubt. Not only was the course absolutely gorgeous, I had a blast and the service was phenomenal. If you’re lucky enough to secure a tee time here, don’t hesitate, it’s worth every penny as far as I’m concerned. Even though the course is private, there is still GPS on all the golf carts. If you want food or drink don’t wait for the beverage cart. Just call the clubhouse and they’ll bring whatever you want out to you. Aside from a bit of a trek from the 7th hole to the 8th tee, the course is quite walkable. The practice area, while beautiful, is set quite far away from the first tee. Unless you’re up for quite a walk, you’d probably want to take a cart to it. Except for those staying at the nearby Enchantment Resort, Seven Canyons is private and not cheap. Call the golf shop for an update on current rates. If you liked the photography in this post, click here to go to my website to view the full resolution images. All photos are available as prints or if you need them for marketing purposes please contact me. And don’t forget to tell your golfing friends about Digital Fairways!